For a 2016-2017 project, First Nations Development Institute (First Nations) selected 21 tribes and organizations across 12 states to receive grants to support nutrition education, especially among individuals who receive food under the USDA’s Food Distribution Program on Indian Reservations. Among those selected, under generous funding from the Walmart Foundation, was the Bishop Paiute Tribe of Bishop, California. 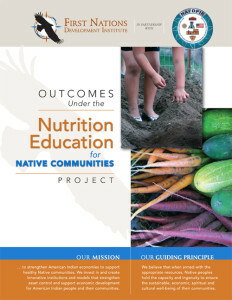 The Bishop Paiute Tribe’s Food Sovereignty Program (FSP) has been working to expand its garden-based nutrition education projects to encourage healthy food and lifestyle choices by partnering with the Bishop Elementary School (BES), the Bishop Indian Head Start (BIHS), and the Inyo County Health and Human Services Department and its food initiative programs. With the funding provided by First Nations and the Walmart Foundation, the Food Sovereignty program, now in its third year, worked to expand the tribe’s work and community outreach. 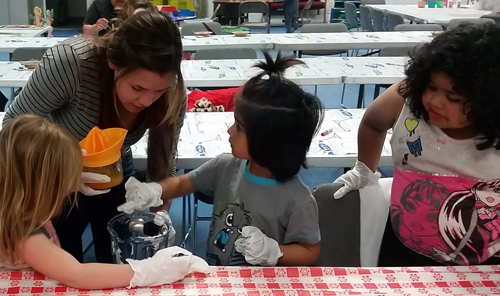 FoodCorps Service Member Shanae Vega works with Head Start youth participants in a hands-on cooking activity as part of the Bishop Paiute Tribe’s Food Sovereignty Program nutrition education classes. Each week the class featured a new fruit or vegetable in recipes that the FSP cooked in advanced to share with participants as a taste-test. Parents then went through the preparation steps for the featured recipe. “BIHS already had a nutrition curriculum. 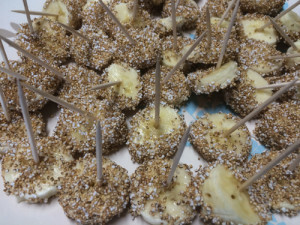 However, in the evening classes, which involved both parents and their children, we were able to integrate foods that students were learning about during the day into their home lives,” said Schlaich. 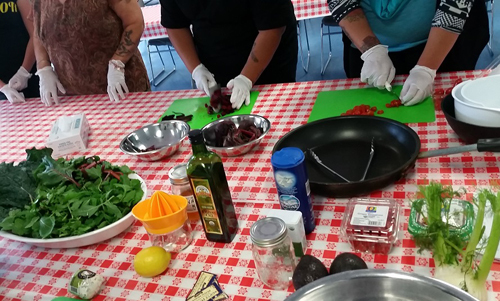 Roasted beet salad is prepared as part of a hands-on cooking activity for Head Start parents participating the Bishop Paiute Tribe’s Food Sovereignty Program nutrition education classes. While the parents were trying out the new recipes, the kids were engaged in simple cooking activities that incorporated the same fruit or vegetable that their parents were learning about. The class ended with a fun activity for the whole family such as painting clay pots and planting cooking herbs or designing a fruit basket to take home to an elder. Also, the parents who attended the class were able to take home the meal that had been prepared in class that day. 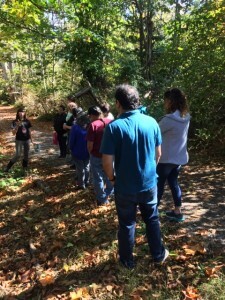 While the youngest students were cooking up fun at the Head Start kitchens, the middle school students were busy outside in the gardens tending their own growing plots, and learning about a plant not indigenous to their area. In the Fall of 2016, as part of a farmer-to-farmer cultural exchange supported by The Garden’s Edge, Quachuu Aloom, a Guatemalan Farmers’ Cooperative, visited the FSP gardens to teach community members about one of their important traditional foods – amaranth. 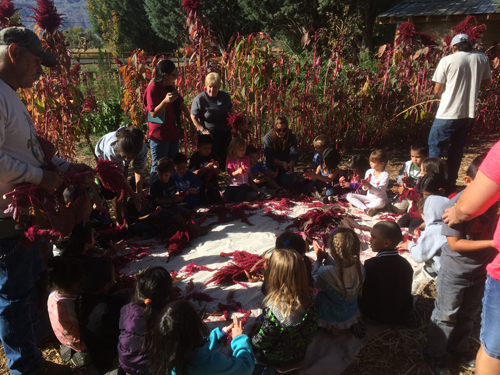 Bishop Indian Head Start youth processing amaranth at the Food Sovereignty Program’s garden near the Owens Valley Paiute Shoshone Cultural Center. Both the fifth-graders and the Head Start students visited the garden to learn about how to harvest and process amaranth, in addition to cooking with it and using it to make crafts. “We puffed the amaranth using a hot skillet and used it to make honey ‘granola’ bars that the students were able to taste. 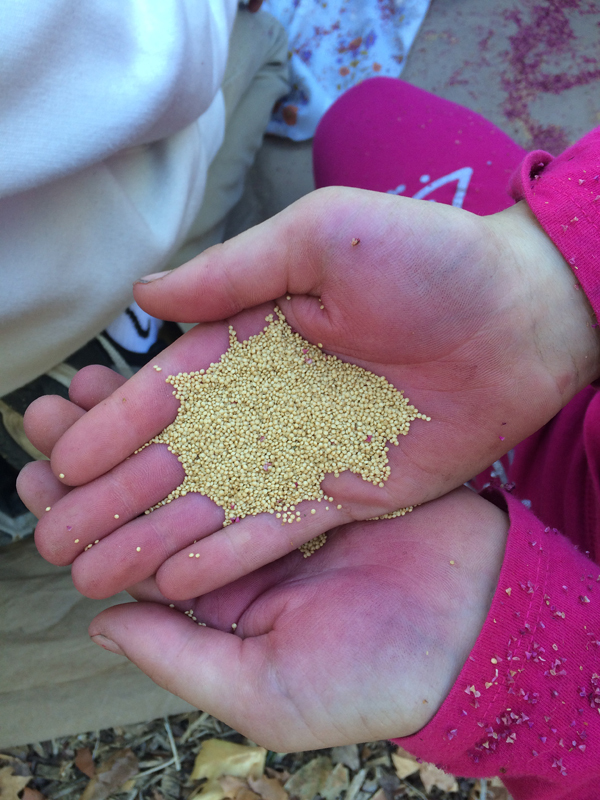 The seeds can be used in stews, ground into flour, or eaten like porridge. 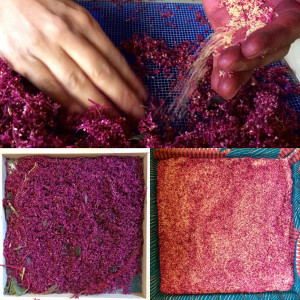 It is also a wonderful natural dye which the students were able to experiment with when making holiday gifts from plants to bring home to their families. The amaranth became so popular with the students that the small health food store in town ran out of amaranth. Community members requested seeds to plant along their fences as a usable barrier, and amaranth seed packets were distributed to those who were interested in it,” said Schlaich. Other foods planted and harvested in the FSP’s family-demonstration garden included: Mohawk red corn courtesy of Rowen White from Akwesasne and founder of Sierra Seeds, tomatoes, strawberries, potatoes, rainbow chard, leeks, radishes, acorn squash, herbs and flowers useful for medicinal purposes or for crafts, currants, gooseberries, beans, peas and bamboo. Shanae Vega, a Bishop Paiute tribal member, worked with FSP as the FoodCorps service member and served as the garden education mentor. Vega would provide support with the nutrition education lessons during the day with the Head Start students, and later in the evenings was involved in the eight-week cooking series for the Head Start families. Schlaich says Vega was excited to be involved and connecting with community members around garden-based and nutrition education, especially with the kids. At every cooking class Vega was surrounded by kids, who were wondering what she was going to help them cook or what they might get to taste-test next. Vega was also excited to work with all of the fifth-grade classes in Bishop that included students from the reservation and from the City of Bishop. She also worked with all children at BIHS and their families from the reservation. All of the project’s efforts, including the partnership with FoodCorps, provided over 127 BES students with 10 hours of nutrition education, and nearly 85 BIHS students with six plus hours of garden-based education. 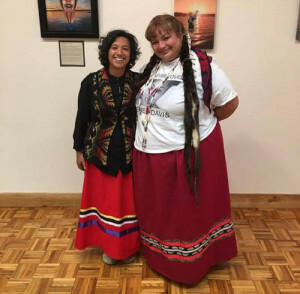 Schlaich and Vega worked to get the information out to the community through a variety of ways, via the tribal newspaper, KBPT Bishop Paiute tribal radio station, and through their partnerships with BES, BIHS, and the Inyo County Health and Human Services Department. For more than a decade, First Nations Development Institute (First Nations) has had a positive and lasting impact on Native youth. In 2002, First Nations launched the Native Youth and Culture Fund (NYCF) to enhance culture and language awareness, and promote youth empowerment, leadership and community building. Recently, First Nations unveiled a new grant initiative that reflects our growing commitment to Native youth and youth development: Advancing Positive Paths for Native American Boys and Young Men (Positive Paths). Positive Paths, created in partnership with NEO Philanthropy and and the Robert Wood Johnson Foundation, seeks to reduce social and economic disparities for Native American males. Studies suggest that Native American males are more likely to be absent from school, suspended, expelled or repeat a grade. However, a growing body of research indicates that suspensions and expulsions are not always the most effective means of reaching and disciplining these students. Often, these punitive measures deprive students of the opportunity to develop the skills and strategies they need to succeed. Positive Paths supports innovative programs that emphasize alternative approaches to punitive measures that have a negative impact on academic achievement and graduation rates. 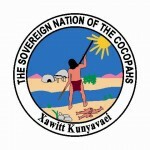 For years, the Cocopah Tribe of Arizona relied upon the public school system for enforcing truancy laws for its students. This approach yielded little to no results, especially among male students. Educators decided to take a new approach that emphasized engaging and empowering Native American boys and men. 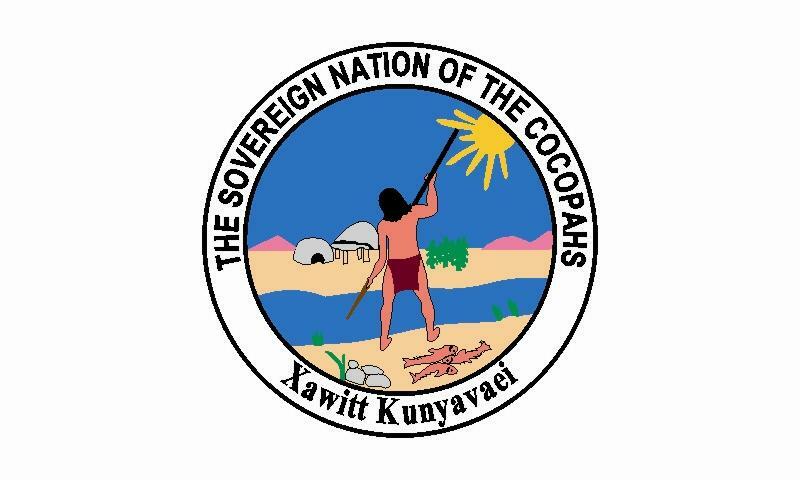 In 2014, First Nations awarded the Cocopah Tribe of Arizona $50,000 through the Positive Path grant initiative to restructure its truancy program. The tribe’s new program has reduced truancy rates among Native American males by nearly 75 percent. As a result, student grades and graduation rates have increased significantly, as much as 25 to 50 percent. The Credit Recovery and Career Exploration (CRACE) program links at-risk male youth to the people and resources they need to recover academic credits, to pursue future career opportunities and develop leadership skills. Students enroll in online classes and work with tutors to successfully complete their courses and graduate. Additionally, the program introduces student to careers that have the potential to strengthen and empower their tribal community. 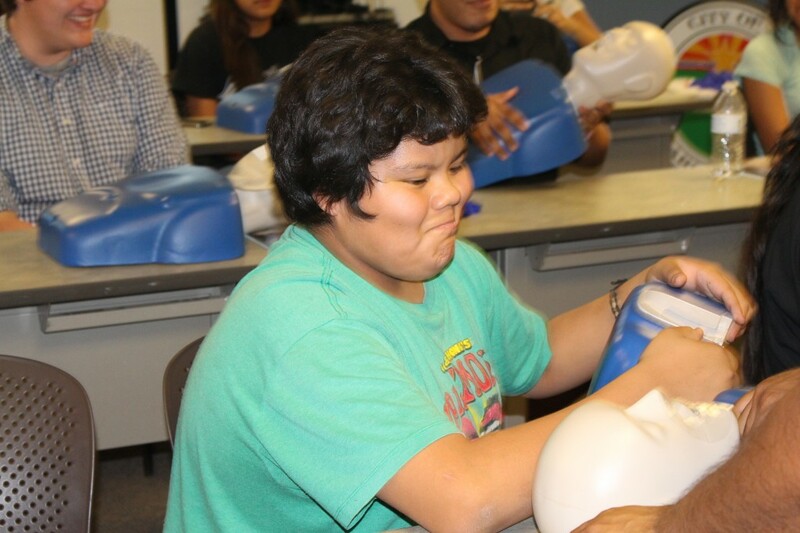 Since starting the CRACE program, participating Cocopah students have undergone CPR training, participated in mock trial exercises, and explored career opportunities in medicine and law enforcement. Students participate in regular meetings with staff and instructors to provide feedback and discuss future plans. During the first meeting, education department staff members noted that many students seemed unsure about their future plans and goals. Over the past year, many students have narrowed down their focus, applying to college or preparing to enter the workforce. CRACE has received support from the tribe and the tribal community. 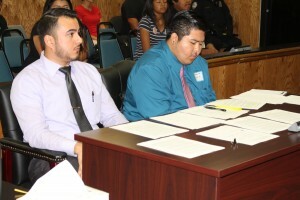 According to the education department, tribal council members often act as mentors to at-risk youth. They also note that the tribe has recently passed a resolution that makes it mandatory for every tribal member to receive a high school diploma or GED to be eligible for benefits. This resolution sends a strong message to students: education is the key to strengthening and empowering their communities. 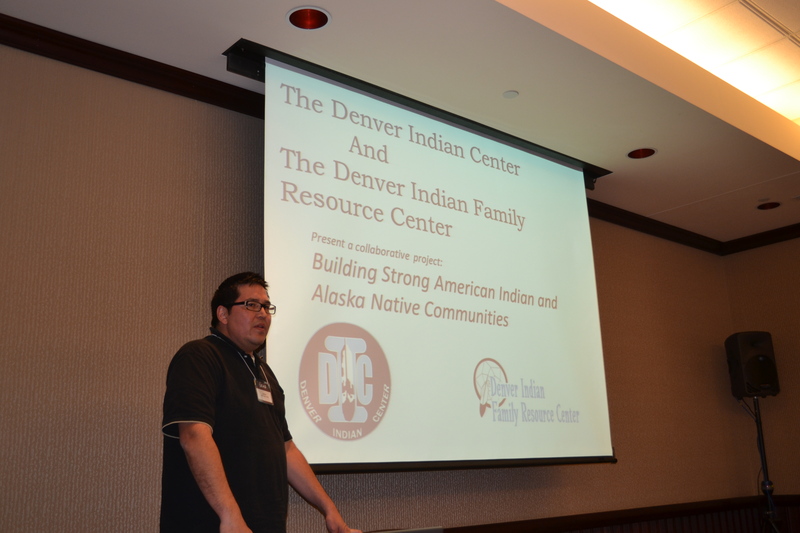 The Denver Indian Center, Inc. and the Denver Indian Family Resource Center are partners in the “Building Strong American Indian/Alaska Native Communities” effort, which is a three-year project that is funded by The Kresge Foundation. 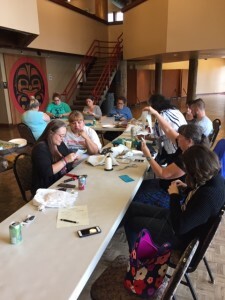 As grant recipients in First Nations’ 2013-2014 Urban Indian Organization program, their project strategy is to improve and expand collaborative opportunities for the two organizations, as well as other partner organizations in metropolitan Denver. They plan to increase participation in new and existing programs, build resources, explore new ways of working together, and enrich communication that creates the most impact. Proposed activities involve resource development, case management, outreach, marketing, information exchange, database management, and developing best practices. The National Urban Indian Family Coalition (NUIFC) and First Nations Development Institute (First Nations) are also strategic partners in this project. The main objective of their partnership is the amplification of services to the grantees to aid in sustainability and growth. It is the right business match. We are committed to the design and co-management of the program with open access to information, networks, resources and skills. Our tasks are to deliver technical assistance and training along with assessments, site visits, media development, and information-sharing forums. Partnerships and collaboration are motivating philosophies at First Nations. Collaboration builds the Native American nonprofit sector. It is a process that prompts individuals with diverse interests to share their knowledge and resources to improve outcomes, innovate and enhance decisions. When we share our expertise we become deeply involved in the design and delivery of outreach, programs, and services. As partners we solve problems, meet objectives, build support, and utilize our strengths more effectively for greater success. 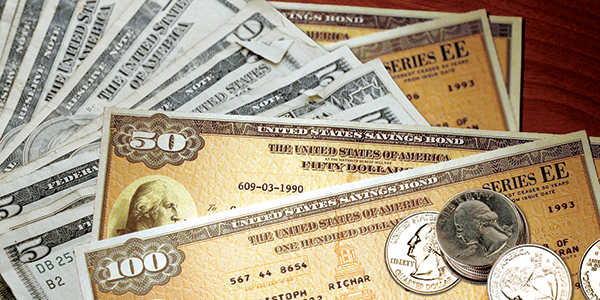 Under the Kresge project, First Nations and NUIFC also selected two other organizations to receive grants. They are the Native American Youth and Family Center in Portland, Oregon, and the Little Earth of United Tribes in Minneapolis, Minnesota. Each of the three projects is receiving a $40,000 grant. 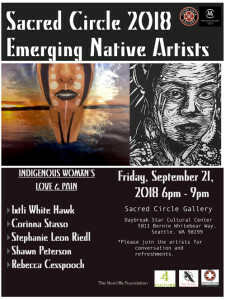 First Nations’ and NUIFC’s overall effort aims to help organizations that work with some of the estimated 78 percent ofAmerican Indians and Alaska Natives who live off reservations or away from tribal villages, and who reflect some of the most disproportionately low social and economic standards in the urban areas in which they reside. 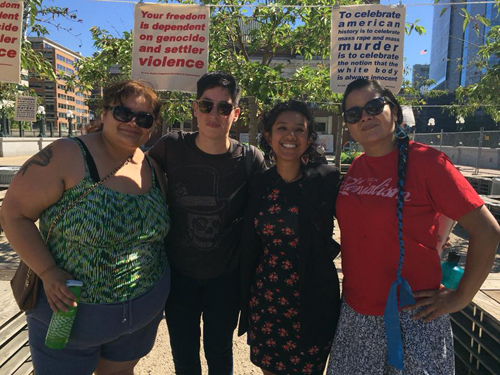 Urban Indian organizations are an important support to Native families and individuals, providing cultural linkages as well as a hub for accessing essential services. 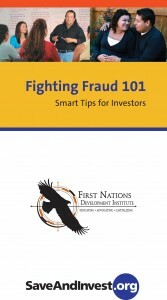 To learn more about these organizations and the project, please see the First Nations/NUIFC press release at this link: http://www.firstnations.org/node/645.